I had a Github account but I only used it a few times. I decided to change that. I created a plan for myself. My Github profile here - https://github.com/hassan-theitguy). 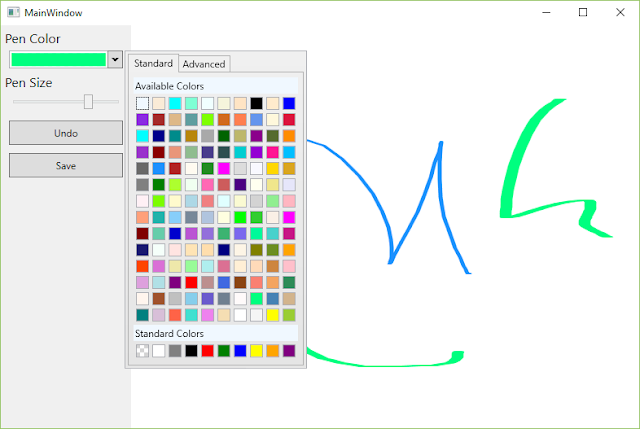 One of the first projects I decided to add to my Github was a C# drawing app. Recently someone had made use of my code from a long past blog post. So I decided to create an update to that. This was my experience. Download and Install Visual Studio Community Edition. Search for tutorials through Google like "c# canvas mouse drawing tutorial"
Found out that WPF uses 8 digit hex colour codes. First two is alpha. I like the Issue Tracking and Wiki tabs on Github. Github Gists allows us to share and embed code snippets (example above). The "git" name and what it stands for (depending on your mood) - https://github.com/git/git/blob/master/README.md. Like this one, "Goddamn Idiotic Truckload of sh*t". So far I have pen color, pen size, undo and save. What feature should I add to the app next? Thanks for following and share your experience with us in the comments below.